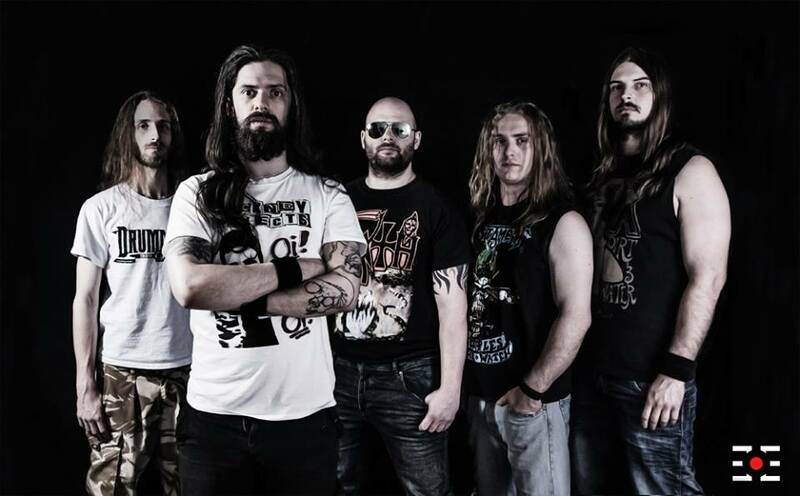 They are a surgically precise, aggressively speedy, extreme thrash metal group from Slough, Berkshire, England. I dig that English bands get to be from three-area names… as opposed to our city, state protocol of marking locations of origin in the US. The band is of such ferocious intensity, they often get pegged with the, ‘Melodic Death Metal’ moniker. Which means it has death metal intensity, and vocals will most likely wallow in the barely distinguishable gutteral growls, barks and yells… while still managing to employ some degree of melody and movement within the music instead of just bludgeoning the listener over the head with an endless stream of riffs. And that fits Divine Chaos pretty accurately. Singer/vocalist Benny F deserves credit for riding that line of combative, raw lyrics… delivered with a focused rage… but still generally audible with the words (if your ears are accustomed to metal vocals, to the non-metal head… this band will be dismissed as ‘death metal’ and all the nuances of what makes this band spark will be lost). The band lists influences from: Testament, Pantera, Vader, Symphony X, Sepultura, Sodom, The Haunted, Old-Metallica, Fear Factory, Megadeth, Nevermore, Opeth, Exodus, Carcass and cites “bands we like” as: Revocation, Havok, As You Drown, No Made Sense, Maniacal Edge, Sylosis, Xerath, Bloodshot Dawn, Shadow Law, Aparitions of the end, Nebukadnezza, Furyborn, Blind Eye Fury, Terrathorn. 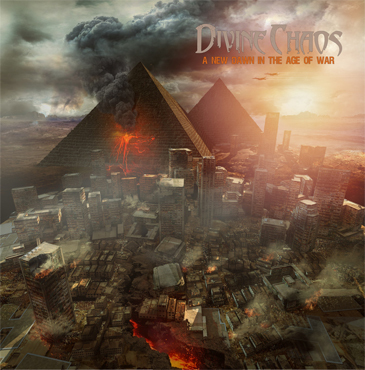 Divine Chaos dropped their debut, “A New Dawn in the Age of War” a little while back on Evil Eye Records. Vader fans take note, drummer James Stewart pounds the skins on this release, and shines with mountains of mechanical precision blasts and tumbling walls of crushing and creative beats. Backed by guitarists Chris O’Toole and Gilmour, the tempos are recklessly fast, yet the control is noteworthy. And Dave Bennett on bass and backing vocals keeps the low end intact while the rest of the band blows it apart. 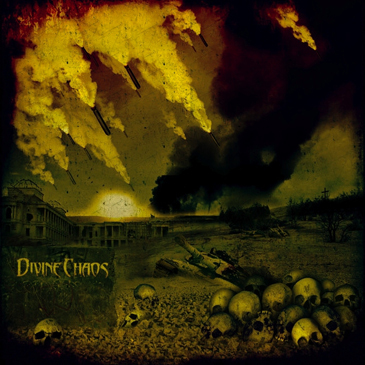 The extreme nature of this unit will make their appeal very niche, but for those that like their metal beyond intense… the dial doesn’t go much higher than Devine Chaos. Turn up your volume, cue these up.. and stand a safe distance from your speakers.